Part of Someday Stories 2018. 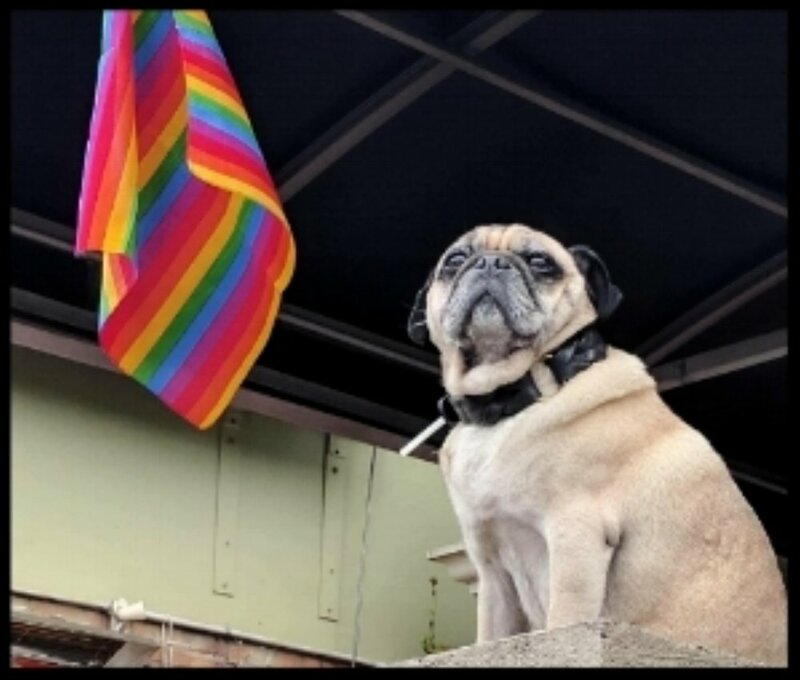 Grace must prove to the world that her pray-away-the-gay dog therapy works by trying to "cure" Fergis the pug of his homosexuality. Repugnant is a dark satire of homophobia and conversion therapy, about the world's most loveable bigot learning to change her ways. While we are very grateful to have gotten funding, this really only covers our most basic costs. There will be many many things like Art Department set dressing that we are hoping to crowd source. Like our Facebook page to stay up to date with the latest news and to see what the latest thing is that we need to borrow! We have chosen not to do a Crowd Funding Campaign (even though we really should!) to cover the considerable costs that we as filmmakers will be shouldering. We couldn't bring ourselves to run a campaign as well as make the film, so if you want to help us and otherwise would happily have donated to a crowdfunding campaign, we've set up a PayPal virtual tip jar below. Any contribution would be GREATLY appreciated, and if you send an email through to divisionaryfilms@gmail.com when you donate you'll be sure to get a special thanks in the credits of the film!